In recognition of the fact that climate change negotiations are, for the first time, chaired by a growing group of women leaders, Ambassador Patricia Espinosa, Minister of Foreign Affairs Mexico and Mary Robinson are convening a side event. 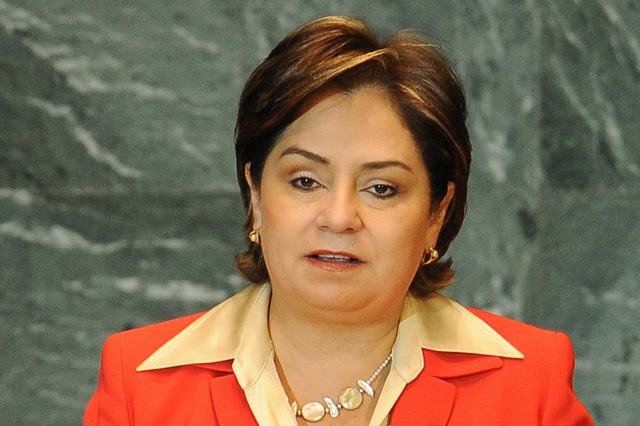 In recognition of the fact that climate change negotiations are, for the first time, chaired by a growing group of women leaders, Ambassador Patricia Espinosa, Minister of Foreign Affairs Mexico and Mary Robinson are convening a side event Women Leaders on Climate Change on 6 December in Cancún. The meeting will convene women Ministers, negotiators, key civil society figures and senior women leaders to discuss a human-centered approach to climate change that incorporates human rights and sustainable development. This meeting will follow the Foundation’s official side event “Women’s Leadership on Climate Change Justice and the Grassroots Perspective” on Sat. 4th December 2010. Minister Patricia Espinosa, President of COP 16/CMP 6, delivered a video message before the commencement of the Climate Change Conference in Cancún, Mexico, in which she addresses the challenges facing the negotiating process.